Keersten Heskin Martinez is an Attorney with over twenty years of experience helping families in all aspects of family law cases. Keersten is one of the few attorneys in the Orlando area who is Board Certified in Marital and Family Law. She specializes in Family Law including dissolution of marriage, custody proceedings, child support, paternity and modification proceedings. Keersten graduated from the Florida Institute of Technology with a Bachelor of Science and majored in Aviation Management and Flight Technology. She received her J.D. in 1995 from the University of Florida College of Law with Honors. While there, she was a member of the Florida Law Review and served as Associate Articles Editor. The Heskin Martinez Law Group is located in downtown Orlando, Florida focusing its practice solely on family law. This includes Divorce, Complex Asset Distribution, Custody, Alimony, Paternity and Modification Proceedings. Our firm is committed to you, and to helping you successfully navigate through all of the decisions and negotiations of your family law case. The Heskin Martinez Law Group is led by Keersten Heskin Martinez, who has over twenty years of experience practicing Family Law in the Orlando area. Given that family law cases are decided by judges, not juries, it is imperative to have an attorney knowledgeable not only in the law, but that is also knowledgeable about the judge that will decide your case if it cannot be resolved. In fact most cases are resolved without ever seeing a judge. Knowing the likely outcome in Court is helpful in allowing us to guide you to the best resolution possible. Keersten excels as a negotiator and at working out matters behind the scenes. She is also an aggressive litigator when a dispute must be resolved in a courtroom. 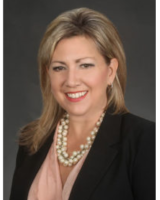 She is one of the few Board Certified Family Law Specialists in Orlando, and devotes her entire practice to Family Law.